The AccuQuilt GO! 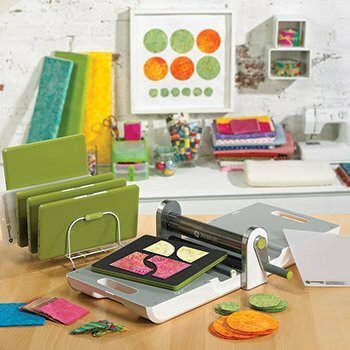 Club is for those who want to learn more about an Accuquilt machine or already own one and want to know how to best use it. At our monthly club meeting, there will be demo topics, tips, project ideas, Q & A's, and lots of Show & Tell Inspiration! Learn how to effectively use your Accuquilt GO! Cutter and dies! Monthly Demos, Instruction & Show & Tell Inspiration, In-Store Member Only Discounts on club day, and free patterns with your club membership! Club meetings will typically be on the First Saturday each month from 1 to 3 p.m.
To register, choose one start date from the list, and you're subscription will include six successive monthly club sessions including that date.